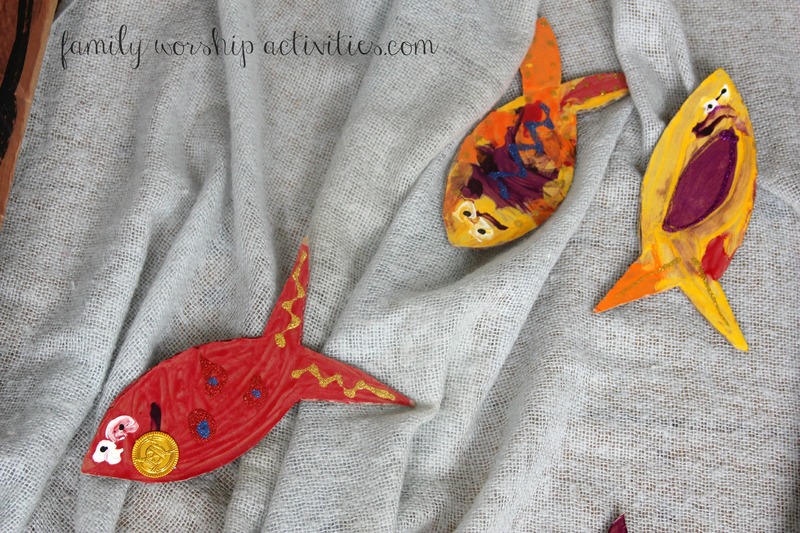 This entry was posted in Bible Activities, Disciples, Fishing Boat, New Testament, Story Telling and tagged Active Learning, Boat, Disciples, New Testament, Storytelling by annaranson. Bookmark the permalink. Looks fantastic and really glad you are doing a Christian site as well as your fantastic Imagination Tree. Just a really nosey question, hope you don’t mind me asking, are you planning on home educating your children as you are doing such a fantastic job already, or will they be going to school? 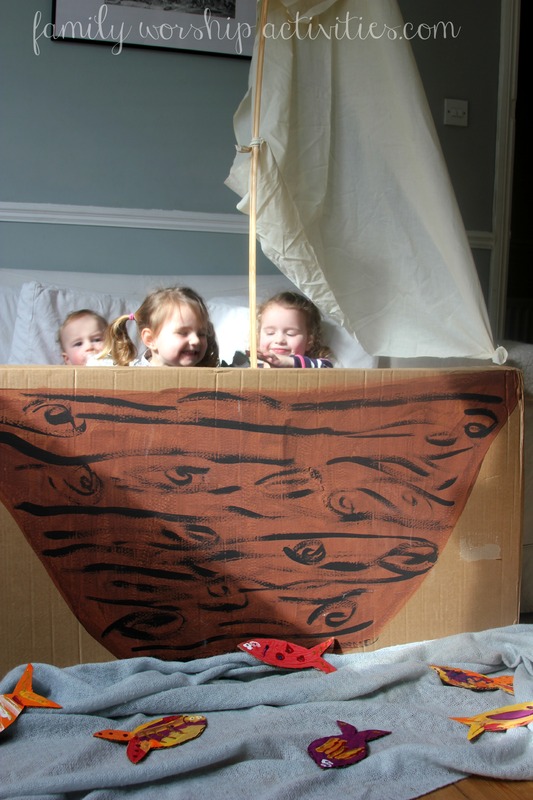 A friend of ours did a very popular devotional play activity on Joshua and the story of Jericho, complete with trumpets, marching and cardboard walls tumbling down! That’s a great idea to paint the boat shape on the box 🙂 I like the artistic fish; if you make a blog post about them (on your other blog?) please be sure to give a link here, too. It sounds like you had a great time with the fishing stories in the Bible.